Lloyd’s reported an aggregated market loss of £1 billion for 2018, after the second consecutive year when its underwriters suffered significant catastrophe losses. Lloyd’s paid a huge £19.7 billion in claims during 2018, gross of reinsurance, thanks to the major natural catastrophes that have left the market to report this loss. Gross written premiums underwritten grew to £35.5 billion, up from £33.6 billion in 2017 and incurred claims dropped to £16.4 billion from £18.3 billion. The investment portfolio’s performance was likely a disappointment though, as it fell to just £500 million return for 2018, less than one-third of 2017’s £1.8 billion. Hence, a similar investment return to the prior year could actually have moved the Lloyd’s insurance and reinsurance market into profit in 2018. Finally, the combined ratio came out at a much better 104.5% for 2018, compared to 114% in 2017 when the hurricanes hit. Lloyd’s said that large disasters cost the market £2.9 billion in 2018, which was significantly higher than the long-term average of £1.9 billion, leading to the elevated combined ratio. Lloyd’s did strengthen its financial position during the year though, as assets grew by 9% to £118 billion, and net resources increased by 2% to £28.2 billion, helping Lloyd’s central assets grow by 8% to £3.2 billion. Green shoots of performance are being seen though and the wider global insurance and reinsurance market pricing environment is having an effect at Lloyd’s, after the years of losses and also given the underperformance of segments of its marketplace. Lloyd’s noted that the pricing environment improved, with rates strengthening by 3.2% on renewal business, while on the other side the attritional loss ratio reduced 1.3% on the previous year. This hints at improved profitability already at Lloyd’s, which will be pleasing to the leadership as this now precisely what needs to be demonstrated, over the longer term. In addition to what looks like the beginnings of higher profitability for each unit of risk underwritten, which has got to be the ultimate goal at Lloyd’s, the market said it has also slashed some £3 billion of non-performing business, while remediation plans were implemented across all review classes of business. The market notes that four new syndicates began trading in 2018 demonstrating the continued appeal of Lloyd’s. But it has to also be noted that some pulled back, citing a lack of profits in the marketplace. So, yes, performance was better than in 2017 when the major hurricanes hit the market and a loss of £2 billion was reported, but new CEO of Lloyd’s John Neal is not really impressed and wants better. 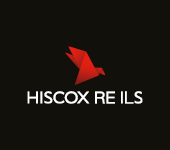 “The market’s aggregated 2018 results report a combined ratio of 104.5%, and a £1.0bn loss. This performance is not of the standard that we would expect of a market that has both the heritage and quality of Lloyd’s,” Neal said. The market hopes for a more robust results profile in years to come, having now initiated and implemented significant performance improvement measures across the market through its decile ten program, which are hoped to steadily result in more robust market earnings. 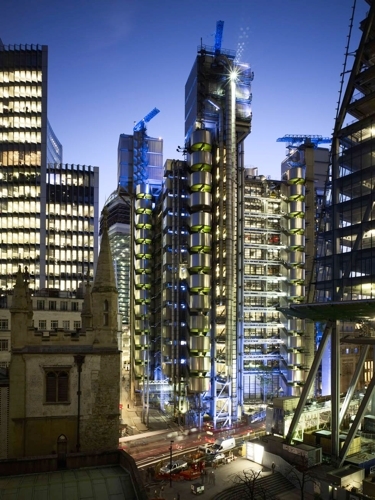 Lloyd’s of London has found itself at the mercy of growing efficiencies across the global insurance, reinsurance and risk transfer landscape, with its expense heavy operation a difficult vehicle to turn around. With reinsurance market capital trends having driven a wave of efficiency through risk transfer, Lloyd’s has had no choice but to try to respond to that. However, thus far, the response has not really been swift enough or driving the reductions in cost and higher per-unit of risk earnings that are required to make the business model as sustainably profitable (and attractive to investors) as it once was. The question of whether it ever can be as profitable in future as it once was in the past remains unanswered so far. We’ll need to see whether a radical course of action is taken, or whether the market seeks to appease those more resistant to change, by only going half as far as it really needs to (when it comes to modernisation, capital agnosticism, expense reduction and slashing of acquisition costs). Lloyd’s has not been able to move as quickly with the times as some, which is unsurprising given its size and multiple stakeholders. But efforts are set to be made to drag the market kicking and screaming into the modern age, with the coming publication of a prospectus, that had originally been slated for this month but now looks set to be delivered in May, according to the Lloyd’s annual results. As we wrote yesterday, there is an expectation that the prospectus, that is expected to provide a blue print for Lloyd’s future strategy, will deliver a friendlier message to third-party capital and insurance-linked securities (ILS), as Lloyd’s works out how best to engage. Read on to see that this message has become even clearer this morning. The desire for change and modernisation at Lloyd’s is clear and the new leadership, clearly disappointed in the market’s performance so far, is driving this forwards. “Over the last six months we have asked hundreds of stakeholders to tell us how we should evolve Lloyd’s to build a collective vision for the future. We have today released a preview of this vision in advance of a full prospectus to be published on 1 May that discusses the future of insurance at Lloyd’s,” Chief Executive Neal said. The annual report lays out areas for potential strategic change, highlighting modernisation, technology, performance improvement, as well as a renewed focus on core markets and perhaps even less focus on emerging markets, as Lloyd’s looks to double down in the U.S.
Of course, the U.S. market brings Lloyd’s firmly up against the rest of global reinsurance and into the areas that additional capital often has the strongest softening effect on rates. Hence Lloyd’s increased prioritisation of the U.S. as a main market has the potential to be another catalyst for rate softening, particularly so as this is where the large, globally diverse insurance and reinsurance firms are also currently seeking the most growth. This is why, for Lloyd’s, the ability to extract sufficient profit from premiums underwritten is absolutely key. Meaning whatever can be done to lower cost-of-capital and raise efficiency, while slashing expenses and acquisition costs, has to become the priority for this market. If that means embracing modern ways to place risk around the market, letting capital truly compete based on its appetite for risk, cost-of-capital, and ability to diversify risk away, then that is a step that will have to be taken. Signing onto a slip based on one lead player’s costing just doesn’t always mean the ceding client is getting the most efficient placement of its risks. An area Lloyd’s really has to address in 2019 and beyond, both for itself and those using the market to transfer risk. Electronic risk placement initiatives embraced by Lloyd’s do not really deliver on efficiency of the placement itself, matching the risk with the most effective and appropriate capital. Thankfully, the teaser for this blueprint does seek to address some key issues, but as you’d expect details are limited right now. 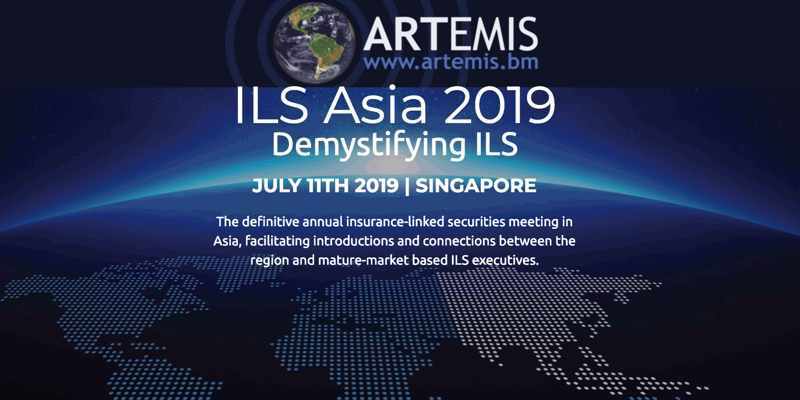 Of interest to ILS players is the fact that Lloyd’s aims to offer a capital platform that can enable accredited investors to access a diverse set of risks from the market. What this means isn’t clear, could it be a Lloyd’s sidecar, a layer of protection for the Central Fund, or something more meaningful such as a transformer to allow capital to participate in Lloyd’s underwriting with much lower frictional and set-up costs. Your guess is as good as ours. But the overall message is that more choice for capital providers and a greater range of options to access risk at Lloyd’s will be key. In addition, Lloyd’s wants to create a risk exchange for standardised risks to be placed much more efficiently into the market. Again, a great sentiment, but whether Lloyd’s should control a risk exchange is moot, as independent exchanges tend to be more successful and Lloyd’s players can access risks through them anyway. Also, a Lloyd’s backed exchange may only allow the ceding company to access Lloyd’s capital, thus closing off the rest of the market to that placement, which is certainly not optimal for anyone but Lloyd’s itself. Still, an interesting piece of the prospectus teaser and one that has significant ramifications for how Lloyd’s players do their business. Other initiatives promise to make it easier to participate at Lloyd’s, automate the claims process, cultural changes, service ecosystems, and ultimately to make Lloyd’s more efficient and easier to do business with. So the full upcoming Lloyd’s prospectus, or blue print for the future, will be eagerly awaited, to see what radical steps are taken to bring the market into the modern age at a time when otherwise its relevance could find itself questioned. Bringing the results up to standard, so that your own Chief Executive is happy with them at least, has to be the initial priority. But the future resilience of the Lloyd’s market platform and driving significant change now so as to ready it for a sustainable role in the reinsurance and risk transfer market of ten or twenty years time is vital now. Lloyd’s has tried to position itself as a risk market for the future numerous times in the last decade or two. Given the pace of change witnessed elsewhere in insurance and reinsurance, could this be Lloyd’s last chance to get it right? Also read: Lloyd’s “prospectus” set to deliver third-party capital & ILS friendly message.